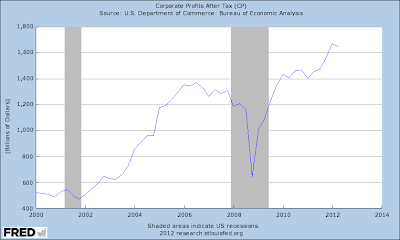 EcPoFi - Economics, Politics, Finance: Chart(s) of the Day: This chart says all is not doom and gloom in the U.S. 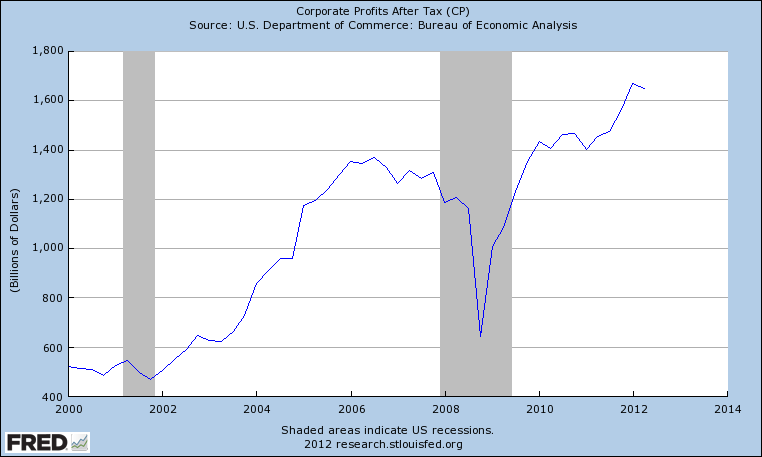 Chart(s) of the Day: This chart says all is not doom and gloom in the U.S.
Corporate profits in the U.S. increased 13.3% YoY in Q2 2012 and was 23.9% higher than at the start of the recession in Q4 2006. 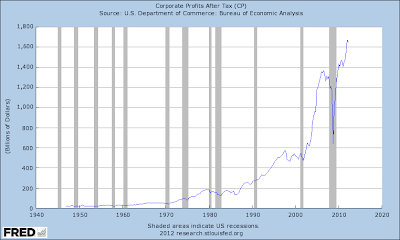 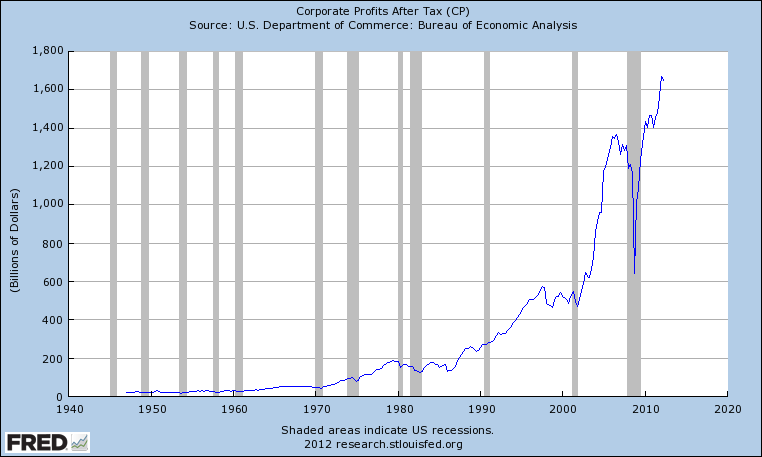 Although slightly lower than Q1 2012, the current profits reported in the U.S. is the second highest ever reported.